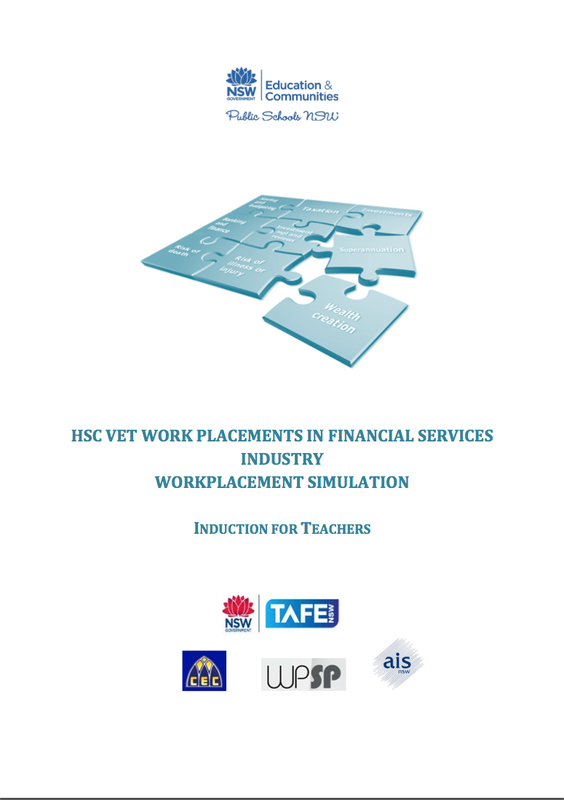 In partnership with the Northern Sydney Institute TAFE, Senior Pathways has developed resources for TAFE and other training providers to support work placements for students enrolled in the Financial Services course. This simulation program has been designed to provide students with a meaningful, structured learning experience in a simulated workplace. The program has been successfully trialled at Northern Sydney Institute for over 200 students in 2012 and 2013 undertaking the Financial Services Curriculum Framework course gaining very positive feedback. You can use this simulation program in its entirety or adapt it to best suit your students' needs. The activities or training can be replaced by activities that suit a particular 'stream' or customized to suit the abilities of a particular group. The program can also be run over an extended period of time instead of 5 consecutive days e.g. one day per week over 5 weeks. The resource kit contains everything a teacher will need to replicate a financial services office environment for 35 hours including the basics of the how to set up the program. A diverse range of tasks and exercises for 'employees' as well as templates for office stationery including time sheets and other materials to support a functioning office environment are included in the kit. Guidelines for both teachers and students to support the simulation are included. The program has been designed to incorporate learning of the employability skills recommended in the Financial Services Training Package FNS10 and the 4 mandatory HSC content areas. the need to protect the confidentiality of their clients' information. This support kit has been specifically designed to address these concerns. 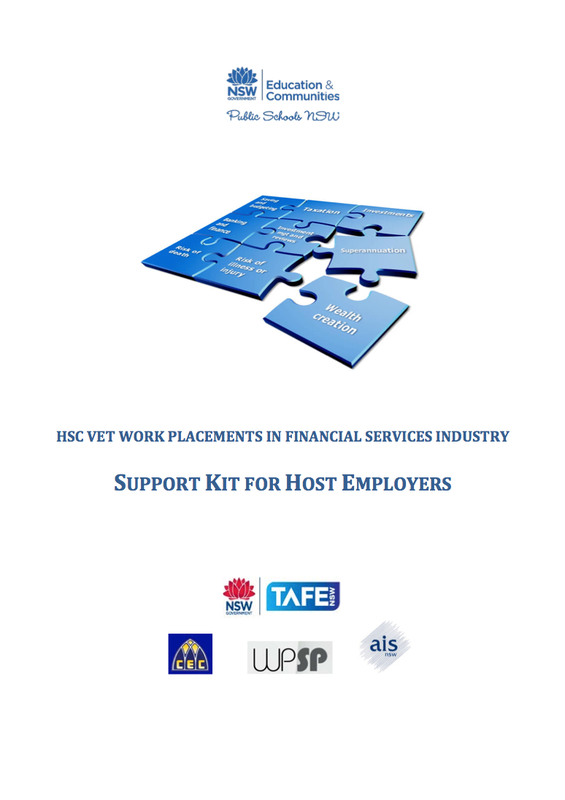 This package includes guidelines, suggested activities, resources and templates which can be used by employers hosting a student undertaking a financial services work placement. The support kit comprises general work skills activities and financial services-specific activities. It complements the skills and knowledge learned in the classroom. The activities are easy to use with notes for the supervisor. There is a variety of activities, ranging from simple to complex, requiring different lengths of time to suit the diverse ability levels of the students. They can be pulled out and used as is, thus requiring minimal preparation time or can be readily adapted to suit any workplace in the industry. All activities in this resource kit do not require student access to client data. Simulated data is provided. All electronic work can be saved on a USB. Activities include: process accounting transactions; preparing petty cash book and depreciation schedules on Excel; preparing simple tax returns and Business Activity Statement. The version on the website is the current version. Printed versions of this document are not controlled and should not be regarded as the current version.